What better way to spend your birthday weekend than on the beautiful, party island of Ibiza? Late into the night, after the short flight to the Balearic island, I arrived at my beautiful luxury apartment in Talamanca - which offered the most amazing view of the port and Old Ibiza town. Nights in Ibiza usually start pretty late, so at 2am and we were at our first venue, Club Lio - renown as being one of the best in town. We had a few drinks, met with other people and headed on to Pacha club to see David Guetta perform his weekly night "F**k me Im Famous". The VIP at Pacha offered free Champagne on the tables, a good view of the dance floor and (the latest craze to hit the clubs) neck and back massages. The night ended at 8am, a time usual for the island. We got a few hours sleep and headed to Passion Cafe in the marina. These little cafes are dotted around the island and serve amazing vegan, vegetarian, macrobiotic and raw food. I went for quinoa bowls with avocado, chicken and asparagus. An incredible choice. One place known for its crystal clear waters and white sand is the island of Fermentera, only a short 30 minute ride away via boat or ferry. Once we arrived we made the most of the sun and relaxed on Playa Illetes beach for a few hours. Beso beach was our next destination on the island, where we met a couple of friends. The Caribbean inspired beach bar here was one of my favourite places. A DJ played throughout the day, the vibe was fun, sociable and very laid back. In addition, the strawberry mojito was possibly the best mojito I've tasted. We chartered a boat back to the island with a group of friends and celebrated with more champagne. In the early hours of the next morning (2am) we headed to Amnesia for the Ibiza event of the weekend: the Marco Carola opening party. As the infamous techno DJ kicked off his Friday night residency, we partied in the VIP area overlooking the dance floor. 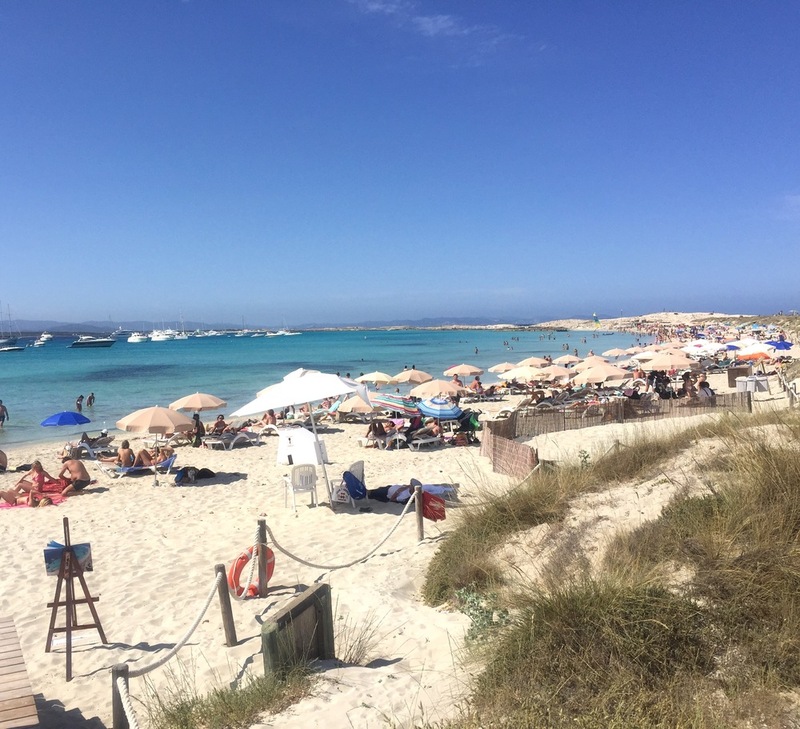 Our last day in Ibiza was spent at another great beach club - El Chiringuito. 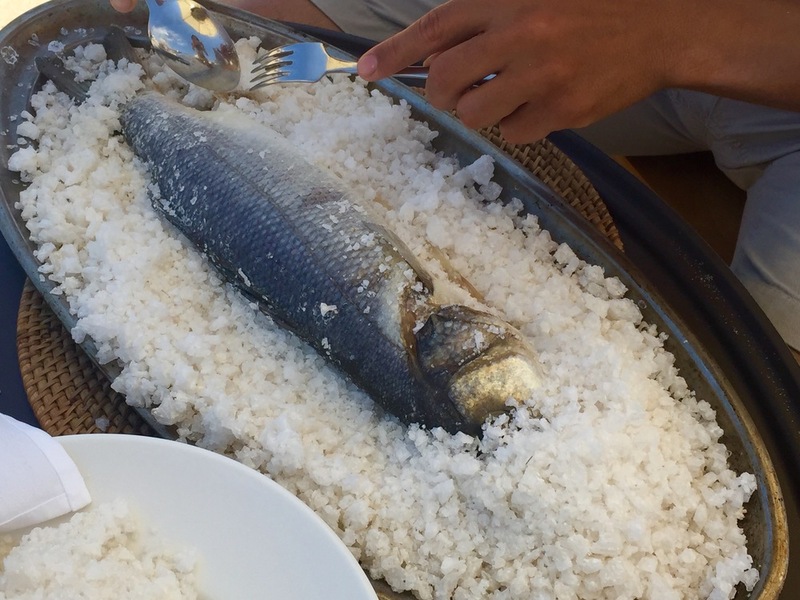 We chilled on the club’s beach beds with a bottle of wine, great service and a view of the sea for the day. 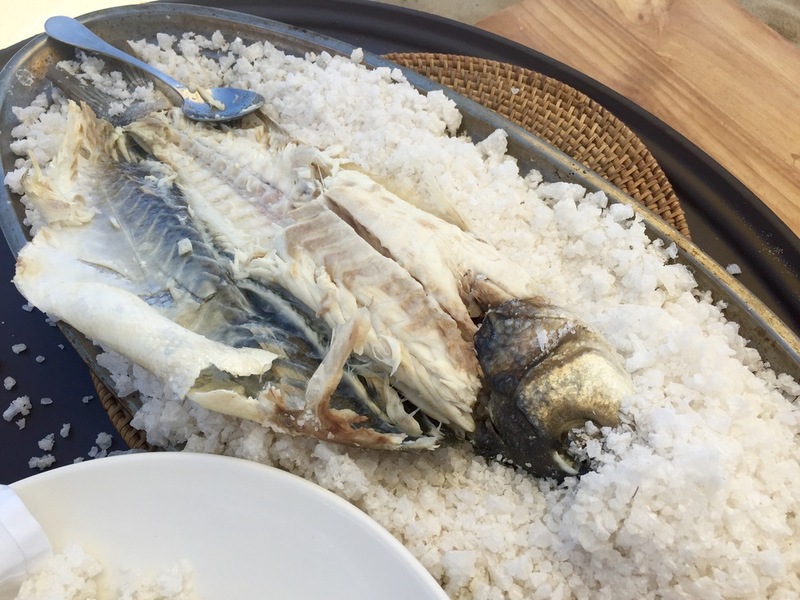 Their Sea Bass fillet in salt crust was the most recommended dish on the menu, so of course, we had to try it! Prepared, and served right before us, the fish was cooked to absolute perfection, accompanied with broccoli & fries and, of course, tasted amazing. Notorious on the island as the place to go to watch a spectacular sunset, Experimental beach club was next on our list, situated at the back of Las Salinas beach. The bar had a very laid back, rustic vibe, with a DJ playing a sunset set; a little reggae mixed with electro. The sunset was breath taking, truly beautiful and picturesque, it really topped off the birthday week. A few hours before the flight home, I just couldn't resist heading to Ushuaia for the ANTS opening party to end my fun, impromptu weekend away. We arrived, partied in VIP and danced as ANTS showcased some of the biggest names in deep house and techno. The evening is now on every Saturday throughout the season. Fortunately I made my flight back to London on time. My champagne-fuelled trip was pretty full-on over the two days but the island is certainly the place to go to have a good time and enjoy the sunshine.